Project success criteria determine how a project is judged at completion. Selecting the right criteria will help you decide if your project is successful. You can also use success criteria to decide which working practices to improve in the future. Success criteria is useful whether you’re planning a professional project or already implementing it. If you know how to select and define criteria, you can get the best results possible from your efforts. 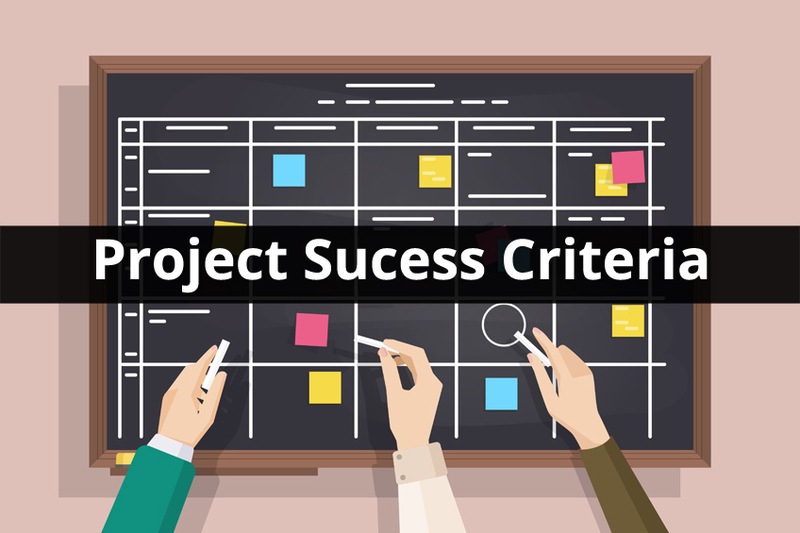 To help you understand this crucial concept, we’re taking a look at project success criteria and how they may be relevant to your workplace. Your definition of project success criteria will depend on your industry, your company, and what you’re trying to achieve. Before launching your project, take some time to think carefully about your goals. Try to keep aims realistic, as this makes your criteria easier to define. Talk to other team members to find out what they hope to achieve from the project. Often, project success criteria fall into three main categories: cost, scope and time. If you’re able to bring your project in on time and on budget, while achieving its stated scope, then it’s safe to call it a success. However, when defining your criteria, it’s a good idea to be a little more specific. While coming in on budget is important, getting value for money can be even more beneficial to your business. The same applies to deadlines. You don’t want to rush a project to bring it in on time if a few extra days, weeks, or even months, brings significant benefits. Once you’ve defined your success criteria and got your project underway, you need to document your criteria at every stage. The more detailed, the more beneficial it will be to your company. Think about how you’re going to document your criteria before the project begins. This may help inform your working practices and get the most out of your documentation. It’s also vital that everyone on your team understands the documentation’s importance. This ensures that every aspect of the project is fully assessed. Never set project success criteria in stone. It’s important to define them before you begin, but be aware that your criteria may evolve with the project. Be flexible; revise and adjust your criteria. That can make it easier to keep them remain relevant to your project throughout. If you’d like to find out more about project success criteria and the importance of project management, we can help. Take a look around our site or get in touch with a member of our team to find out more.